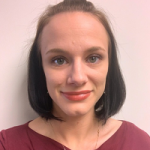 Relocating your business office and equipment. We are small-business specialists, offering appliance removal and disposal to smooth your transition. Moving into a new house or apartment. No residential move is too small or too large. Transporting your specialty items with care. Our white-glove service will help ensure safe delivery of your valuables, from fragile antiques to grand pianos. Let Ferrick Bros. take care of all the details! They are full-service movers providing packing, unpacking, and pad-wrap services, and free boxes and other packing supplies are available upon request. They also understand that some moves require storage options as well. Ferrick Bros. offers furniture storage and portable storage facilities to fit any storage need. And the best part? 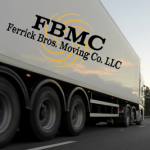 As a locally owned and operated moving company, Ferrick Bros. offers highly competitive pricing compared to national chains. Their strong reputation in the Newburyport area reflects their emphasis on best value and excellent customer service. Be sure to get your FREE Moving Estimate as soon as you begin the moving process – you could save up to 50% on the total cost of moving! Visit their website for a same-day online estimate or, for best accuracy, they will come to you to provide a free in-house estimate. Call anytime 24/7 at 1-978-476-4229 for additional cost-saving moving and storage tips. Same-day service available. 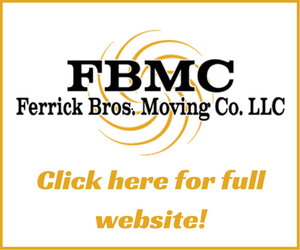 Choose Greater Newburyport’s top movers and let Ferrick Bros. Moving Company do your heavy lifting!